Located only 170 km away from Coimbatore, Kodaikanal is indeed perfect holidaying destination offering refreshing lush greenery, rich flora and fauna, mesmerizing natural sceneries and a peaceful atmosphere. Explore this hill station and admire its beauty which is sure to leave you mesmerized. Located in the state of Tamil Nadu, Kodaikanal is one of the most beautiful hill stations in the country. Captivating places to visit in Kodaikanal and ample of adventure activities ranging from trekking and rock climbing to cycling and horse riding, add to the overall charm of this nature’s heaven. What makes it more appealing is a Kodaikanal tour package that promises a relaxed holiday in the midst of its nature. A stress free travel is something that we all wish for. By choosing a "Holidays DNA" Kodaikanal tour package from Coimbatore you gift ourselves the surety of it. No matter how you are travelling or which Kodaikanal tour packages you are choosing from our wide array of packages, a Kodaikanal tour is sure to bring a smile the moment to step into this land of unparalleled scenic beauty and a lot of travel memories for you take back home. Our travel experts have designed every single Kodaikanal tour package with utmost interest and care. A wide array of choices have been created in each tour packages so that it suits varied kinds of interests and fit all types of holiday ideas. Whether you want a quick break from work and looking for a weekend getaway from Coimbatore or want to take your kids on summer holiday, whether you want to take your partner of a romantic holiday or plan trip with your friends for some adventure, Holidays DNA has Kodaikanal tour packages for everyone. All our Kodaikanal tour packages from Coimbatore offer an extensive array of choices to customers. 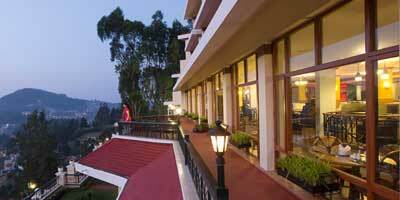 They can choose any accommodation from the handpicked list of best places to stay in Kodaikanal. There is the option of choosing your pickup and drop points as well. In addition to these, we also offer taxi of your choice for sightseeing in our tour packages of Kodaikanal. You can visit all the popular places or a few as per your interest and spend as much time as you like to without having to worry about commuting back to hotel as our driver and the cab will always be there by your side. These packages are also inclusive of driver payments, and various charges such as toll gate and parking charges. Our tour packages for Kodaikanal have been designed in such as way that they offer best of facilities and comfort in a cost efficient way. We also offer the option of customization to fit any specific or occasion. Our travel experts, who are available 24/7 for all kinds of travel related assistance, take personal interest in making your holiday a memorable one. Plan a trip to Kodaikanal from Coimbatore for a rejuvenating break. Easily accessible by road, this Princess of hill stations- Kodaikanal is only 4 and half hours away from the city of Coimbatore. There are regular buses between these two places. However, if interested travelers can just book a cab and drive to Kodaikanal at their own pace. Many tourists from other parts of the country also reach Coimbatore and then travel to Kodaikanal. A Kodaikanal tour package from Coimbatore makes the travelling even more hassle free.